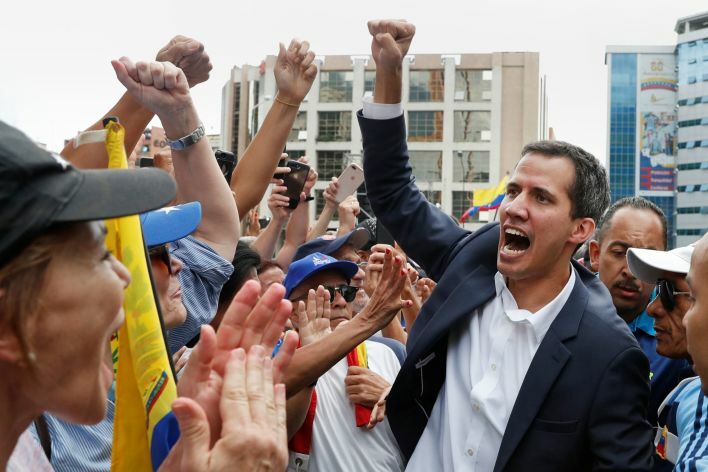 Venezuela’s Juan Guaido does not rule a US military intervention to oust President Nicolas Maduro amid reports that Washington is in direct contact with Venezuelan generals to stoke a mutiny. The 35-year-old opposition figure called on the Venezuelan army to allow the “humanitarian aid,” currently in a warehouse at the Colombian border, to enter the country. Maduro has accused Washington of waging an economic war against Caracas through sanctions which have exacerbated the country’s problems. Trump imposed new sanctions on Venezuela’s oil industry earlier this month as he officially recognized Guaido as the “legitimate” president even though he has not run in any presidential election. On Friday, Chin’as Foreign Ministry said Venezuela should resolve its political crisis via peaceful talks and that Beijing supports the international community’s efforts in this regard.